I was one of the volunteer helpers at Open Tech 2011 on Saturday 21 May 2011. 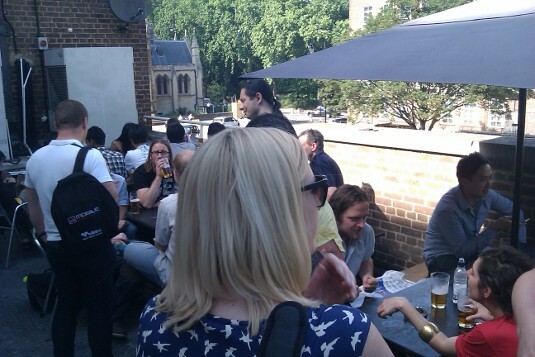 Pictured are attendees at the post-event social in the ULU bar. Mant thanks to Sam for organising another fantastic Open Tech.